After the launch of the new E90 BMW 3-series (and E91 BMW 3-series station wagon) which has been on Malaysian roads for quite some time now, BMW has finally revealed the 2-door version of the E90 sedan, the E92 BMW 3-Series Coupe. Along with the new bodyshape, BMW also launches it’s first twin-turbo petrol engine in a production car for the BMW 335i SE Coupe. The new E92 3-series coupe has a very elegant shape. The coupe roofline has a very elegant curve to it, which makes the car look longer than how it’s predecessor, the E46 Coupe looked. It’s also longer than the E90 BMW 3-series sedan, which is 4520mm long. The new BMW 3-series Coupe is 4600mm long, which is about 80mm longer. The body has a near-perfect 50:50 weight distribution and the engine drives the rear wheels, except for the 328xi which is equipped with an all-wheel drive system called BMW xDrive. The new 3-series coupe body also uses plastics in certain areas like the front wing, which makes the new 3-series coupe on average 10kg lighter than equivalent sedan models. 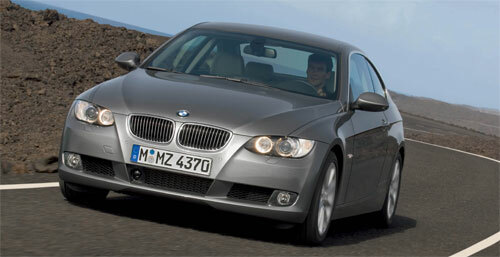 BMW also introduces a new 335i model with the new E92 3-series coupe. 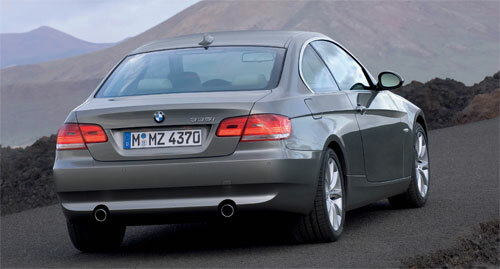 The 335i is powered by a 3.0 litre in-line 6 cylinder twin-turbocharged engine. The engine is also equipped with BMW’s direct injection system using electric piezo injectors. This new 335i engine makes 306hp and torque figures are a massive 400Nm of torque available from as low as 1300rpm all the way up to 5000rpm, from where the maximum torque dips until it reaches it’s redline of 7000rpm. The engine’s torque curve sounds REALLY sweet. Would love to drive one. I previously mentioned the engine will have it’s two turbos in sequential form, so I apologize for the mis-information. The twin-turbo system is actually in-line, with a turbo being fed by 3 cylinders each. Two smaller turbos alllow a much faster spooling time than 1 big turbo. The usage of forced induction allows this new 335i engine to make as much power as a normally aspirated V8 engine of a higher displacement, but weighs 70kg lighter. The engine was designed to compete against competition like the Lexus IS350 and Infiniti’s 3.5 litre offerings, as well as be a bridge between the current 3.0 litre normally aspirated engine and the 4.0 litre V8 engine to be offered with the BMW M3. This engine gives the BMW 335i Coupe a 0-100km/h speed of 5.3 seconds and an electronically limited top speed of 240km/h. 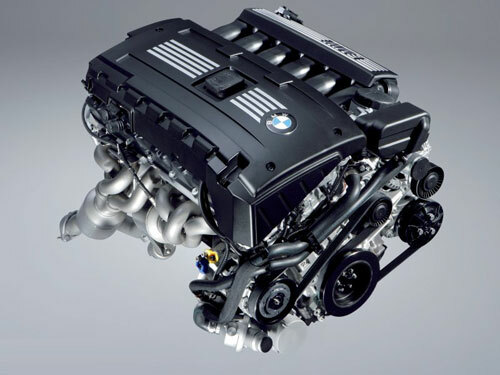 Above: Top – The new 3.0 litre twin-turbocharged 335i engine. 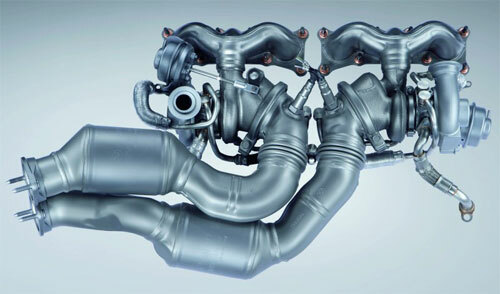 Below – The 335i’s turbo manifold. Three cylinders feed each turbo with exhaust gas, spooling them up to create boost. The new BMW 3-series Coupe will be introduced with 328i, 328xi, and the 335i in the US market, while the UK market will get the 325i and the 335i. Entry-level 320i Coupe and 320d turbodiesel Coupe as well as 330i and 330d turbodiesel models will be introduced later, so for now the entry-level 3-series Coupe will be the 325i. The US market BMW 3-series coupe will come with either a 6-speed close ratio manual gearbox or an automatic gearbox. The automatic gearbox option will come with paddle-shifters behind the steering wheel whenever the driver wants to have more involvement in the transmission’s selection of gear ratios.